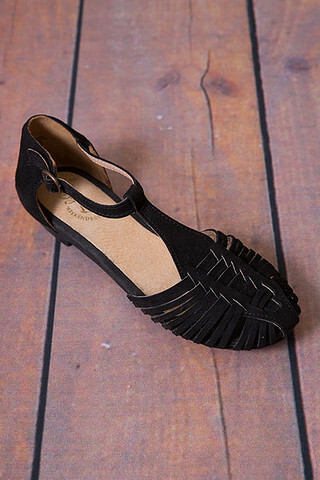 The Just A Smidge sandal is perfect for slipping into and heading out the door. 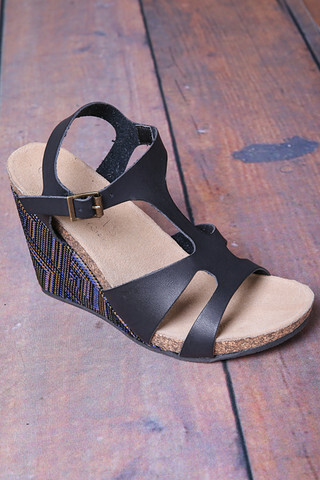 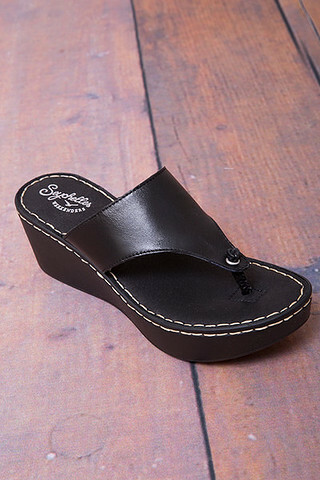 The black leather is the perfect neutral therefore these sandals will match with any outfit. 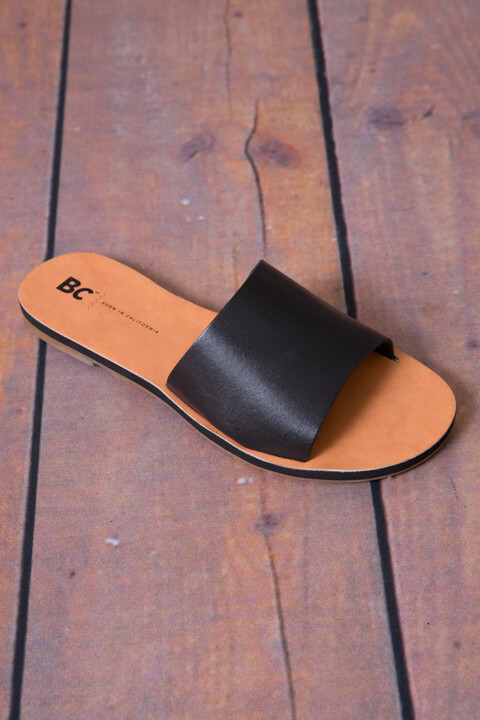 Leather materials. 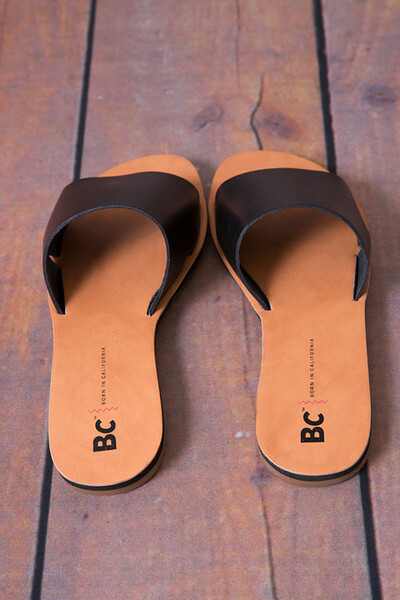 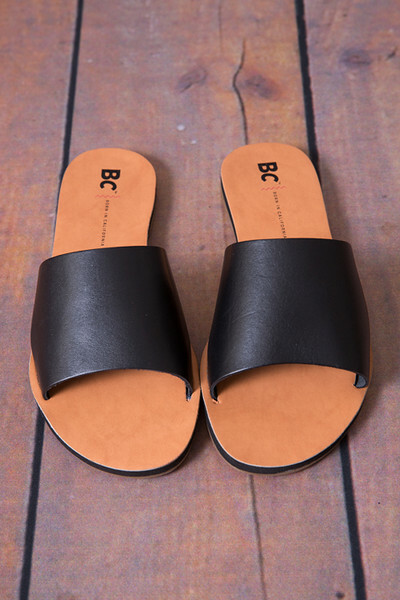 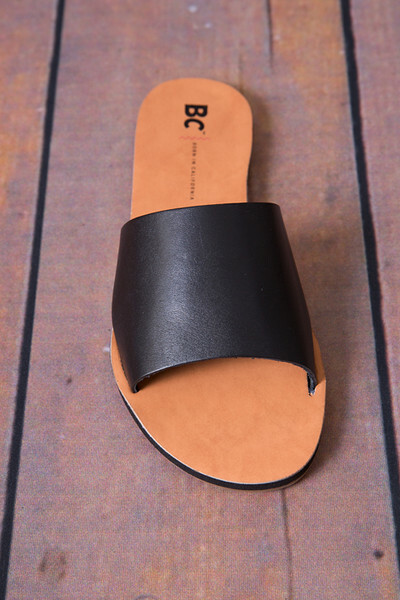 Made by BC Footwear a division of Seychelles.